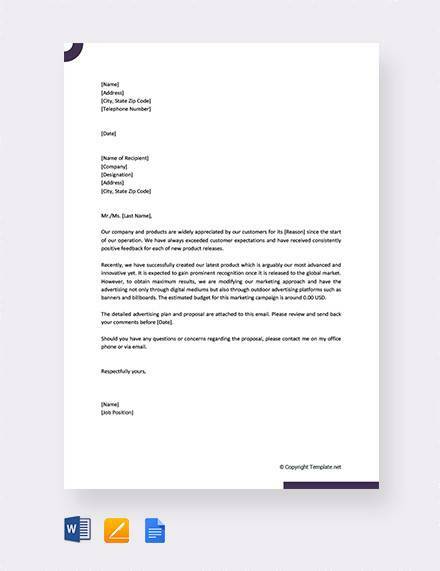 Writing an excellent advertising proposal letter may mean a difference between having a good client base and having zero response rate for all the letters that you sent. For this reason, advertising agencies and media outlets hire a pool of excellent writers who can persuade clients and know the elements needed to write an attractive and outstanding proposal letter. 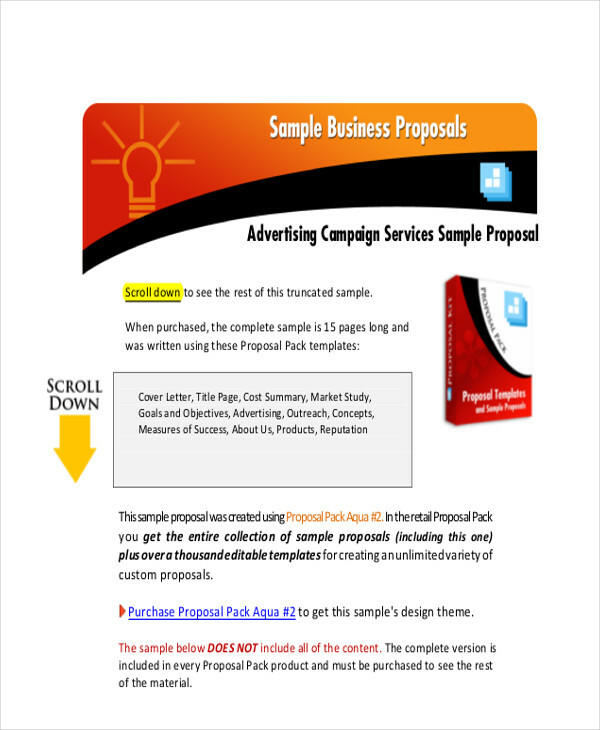 Our sample letters for advertising proposals cover different fields with which users will be guided accordingly in writing their own drafts for a proposal letter. These are all free for downloading and printing. 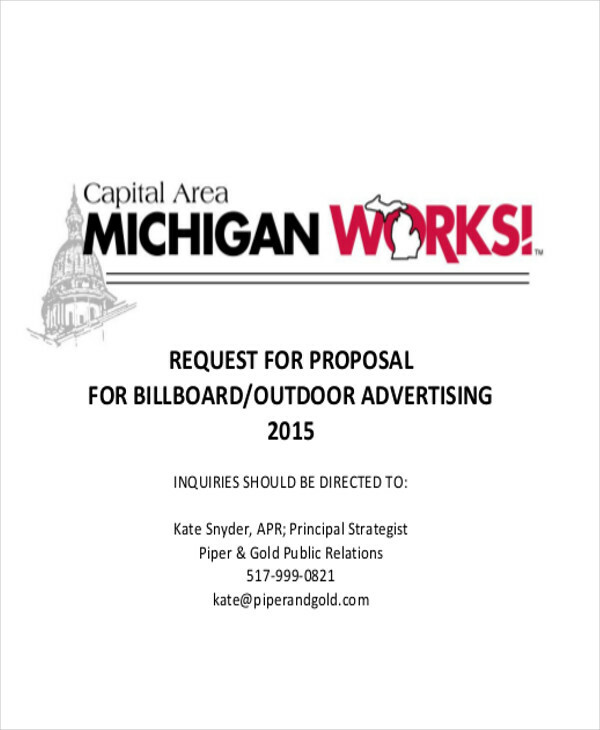 An advertising proposal is a formal letter the agency submits asking the management of an organization to provide funds for the agency’s project or event. 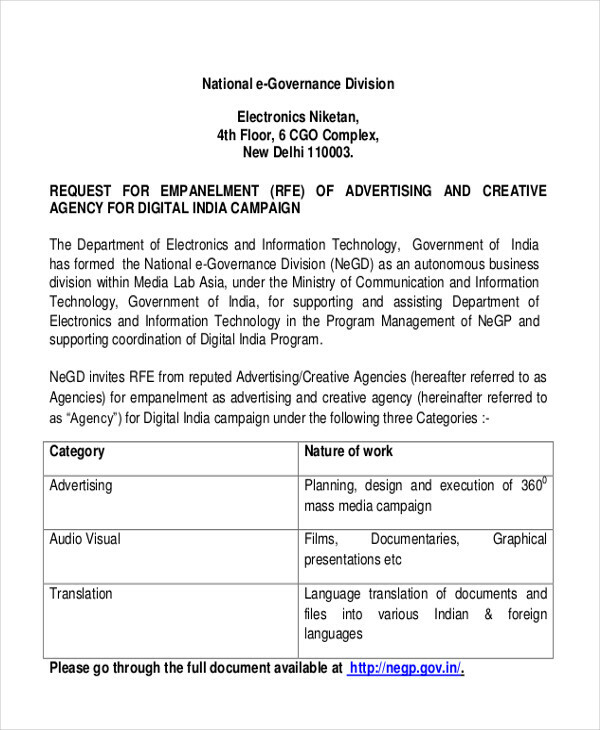 It may also be a funding request that the agency may ask from a client in return for an advertisement slot on their media outlet. 1. Write the full name of the person and the company you are sending the proposal to including full contact information of the recipient like phone numbers and e-mail address. 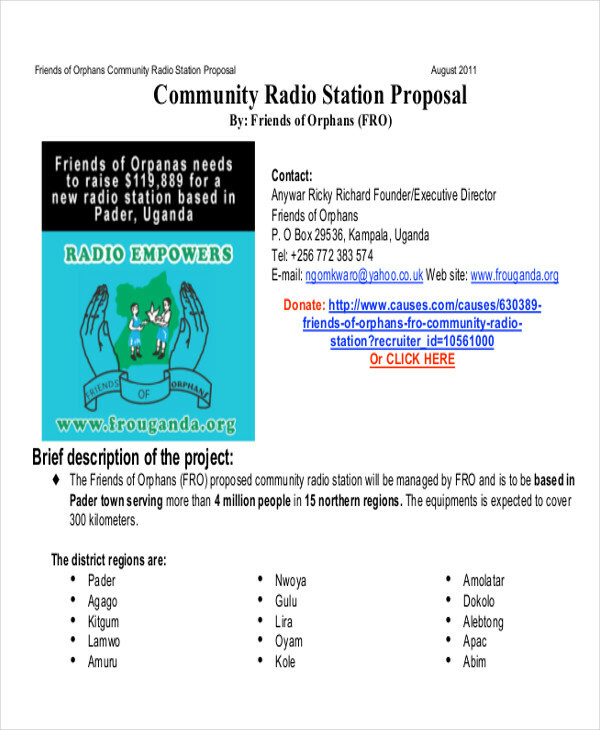 For more than one recipient, list all their complete names and full contact information.You may also see marketing proposal letters. 2. Cite the specific budget in the proposal. 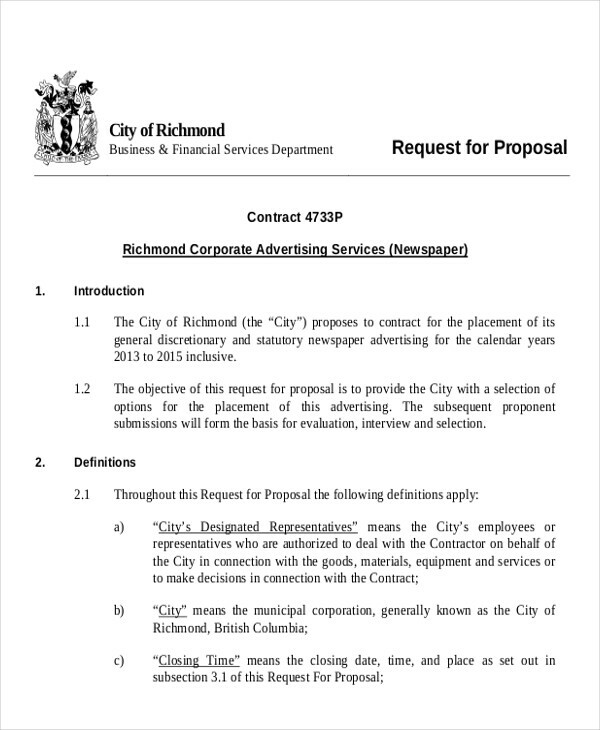 Don’t forget to cite how you appreciate the ongoing business relationship you have with the person that you are submitting the proposal to and that you intend to continue with the relationship.You may also see catering proposal letters. 3. Give an overview of whatever project or event the agency is undertaking and explain why funding is necessary. 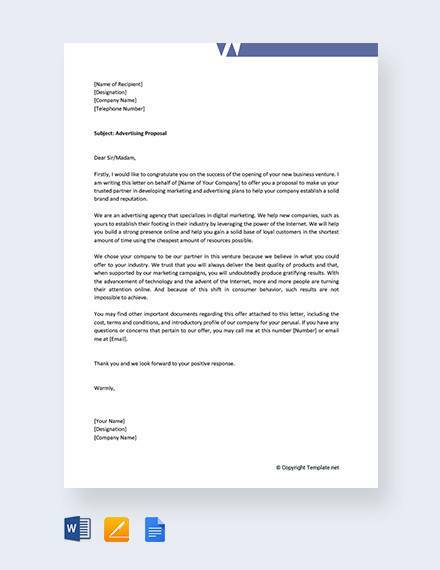 Make a brief but worthwhile overview and write it in such a way that the recipient is convinced the proposal is worth considering.You may also see business proposal letters. 4. 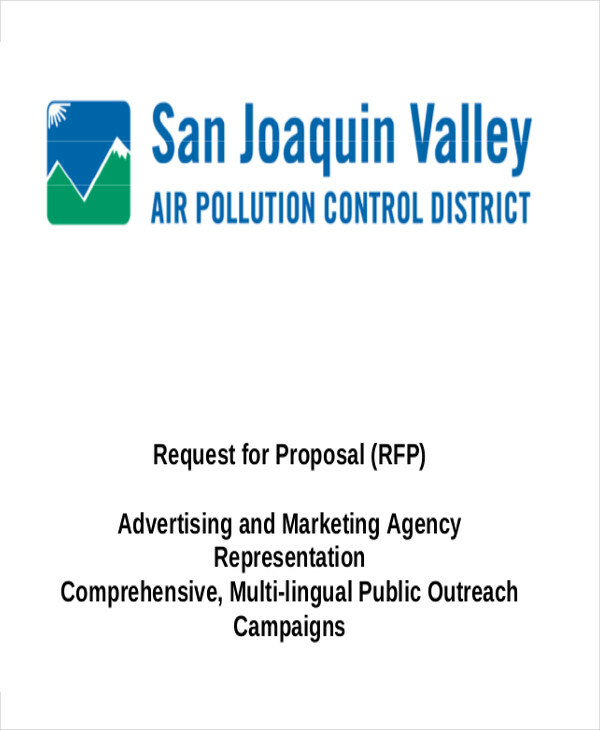 Attach a detailed budget proposal for consideration and include your statement on contacting you anytime should there be any questions, and don’t forget to thank the recipient for his time and consideration for the request you’ve submitted.You may also see proposal request letters. 5. Write your closing statement by again expressing your appreciation followed by your full name and full contact information of the agency you’re representing.You may also see partnership proposal letters. 6. Create the detailed proposal overview, its cost, and project description in a new page with itemization and charts to give a full overview of the proposal and its overall purpose.You may also see event proposal letters. 7. 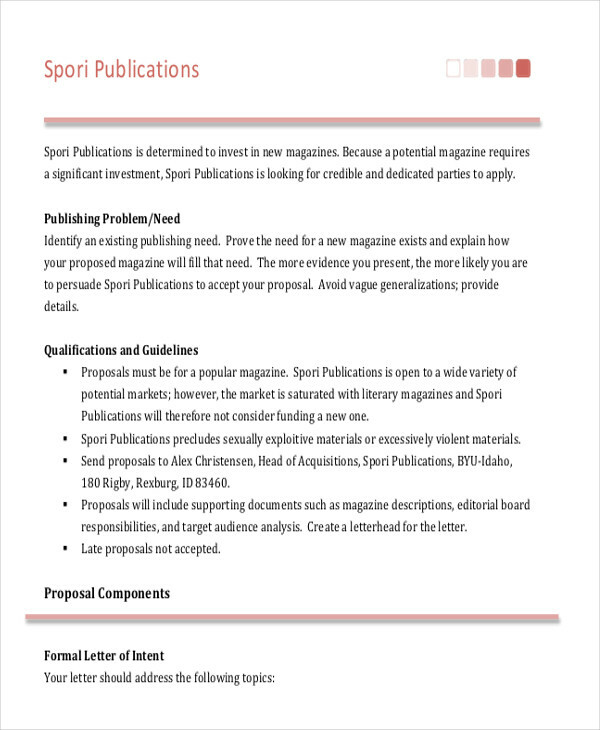 Print your cover letter and proposal and sign the cover letter before submitting everything to the recipient. 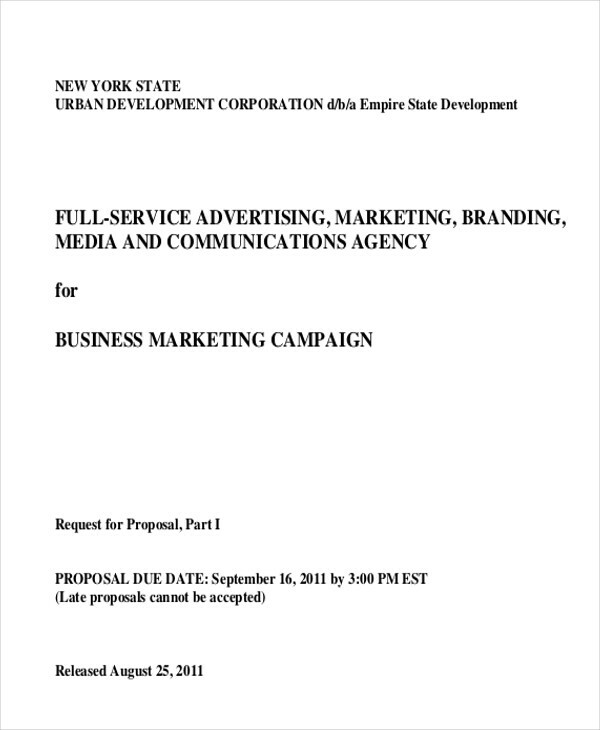 For more advertising proposal letters, please check on more of our website’s sample proposal letters that you can download for free and edit or modify for your own use. 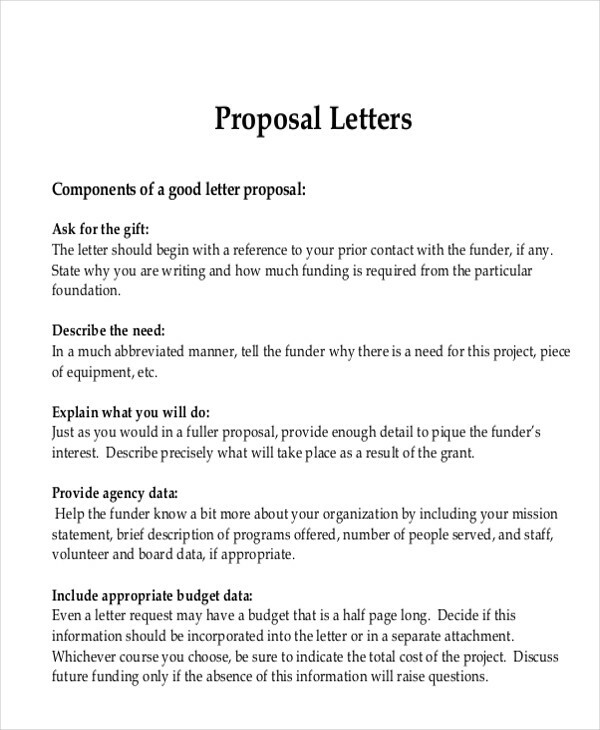 Please note that proposal letters are limited to the purpose of an agency’s intent and should not be used to ask funding for personal purposes. Even for nonprofit agency organizations, funding for advertising should be acknowledged with a receipt even if these may not be taxable. This is to ensure the proposal is legal and sanctioned by the organization. 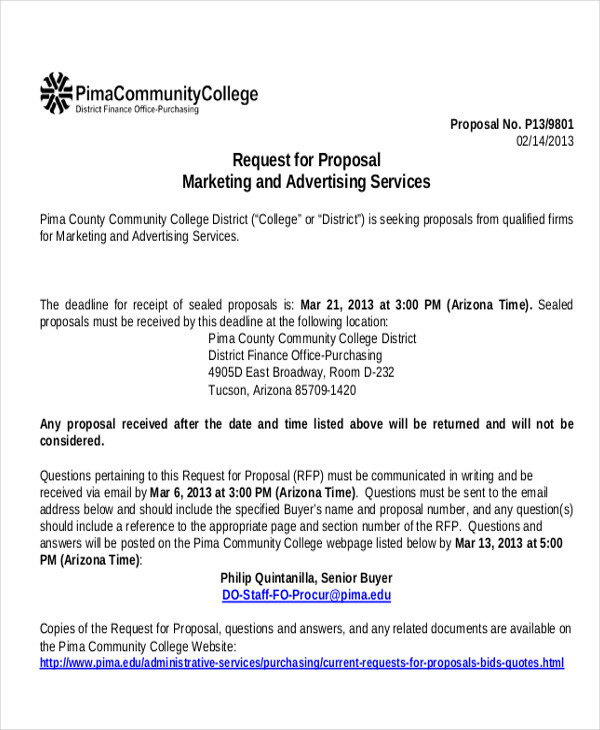 You may also see website proposals. 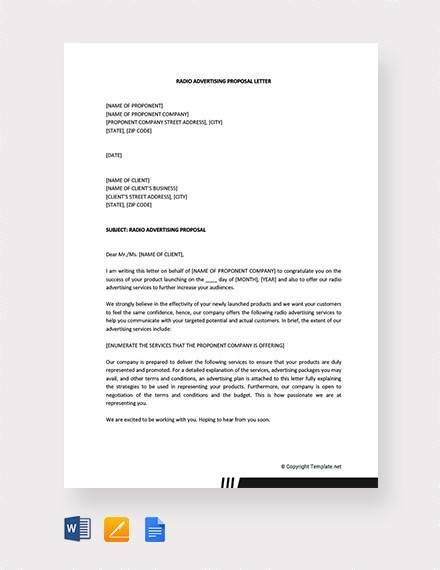 For other samples of proposal letters, please check on our website’s business proposal letters that are also all free to download, edit, and modify before printing.